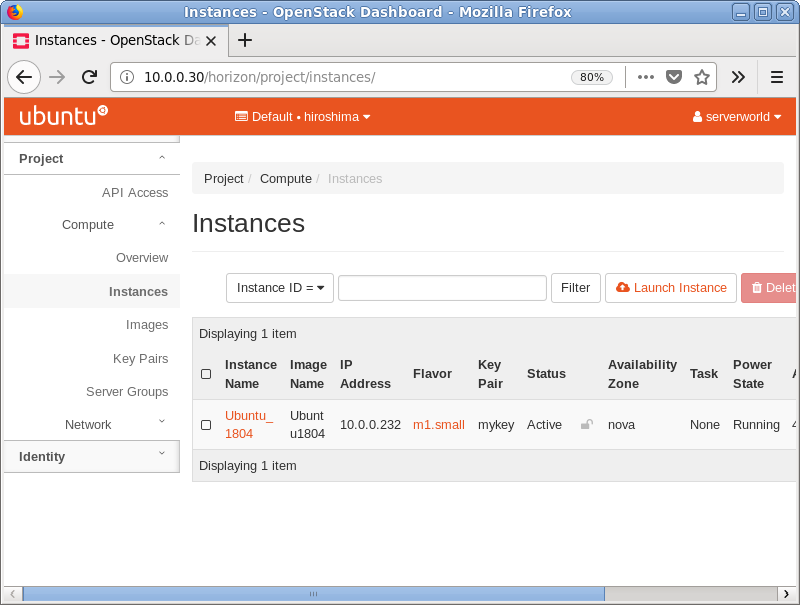 It's possible to control OpenStack on Web GUI to set Dashboard. After accessing, following screen is displayed, then you can login with a user in Keystone. It's possible to use all features if you login with admin user when you set it on keystone bootstrap. 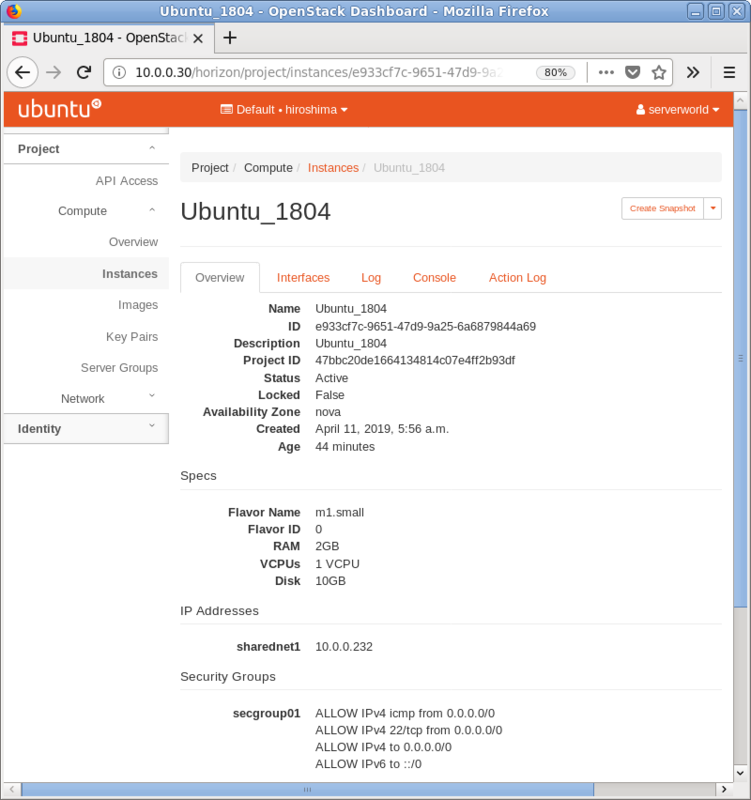 If you login with a common user, it's possible to use or manage own instances. 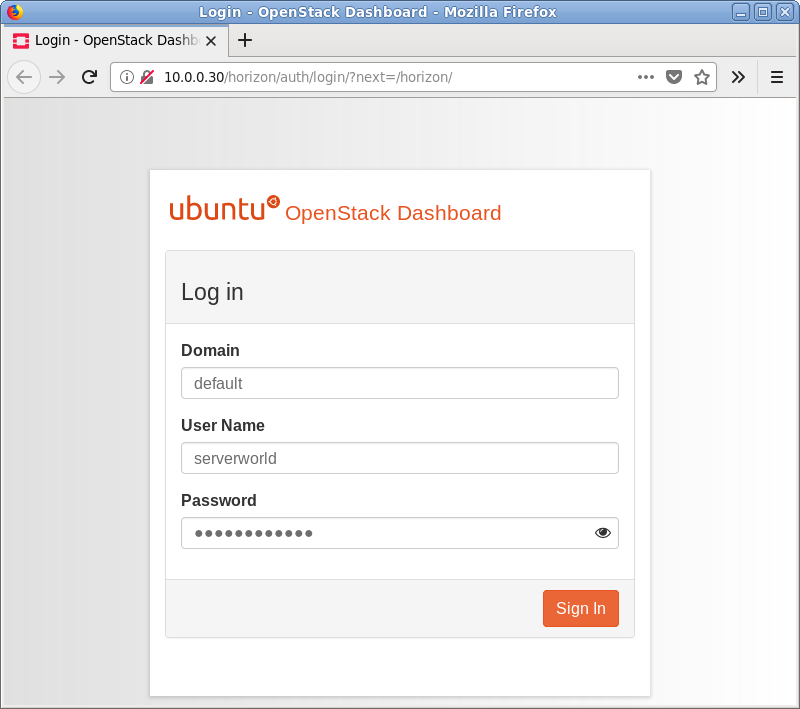 If it's OK to login normally, following screen is displayed (with common user). 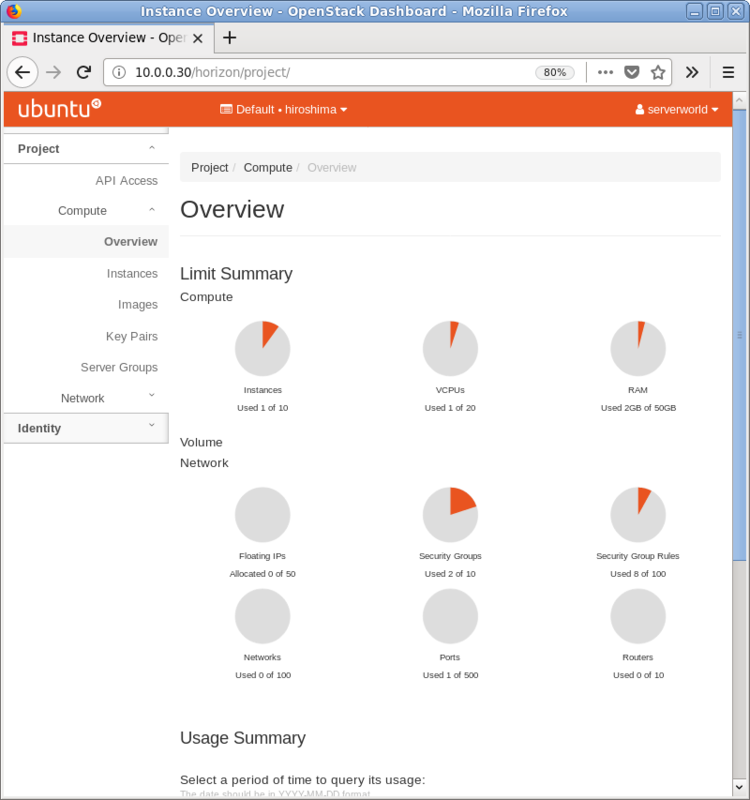 You can control Openstack on this Dashboard. 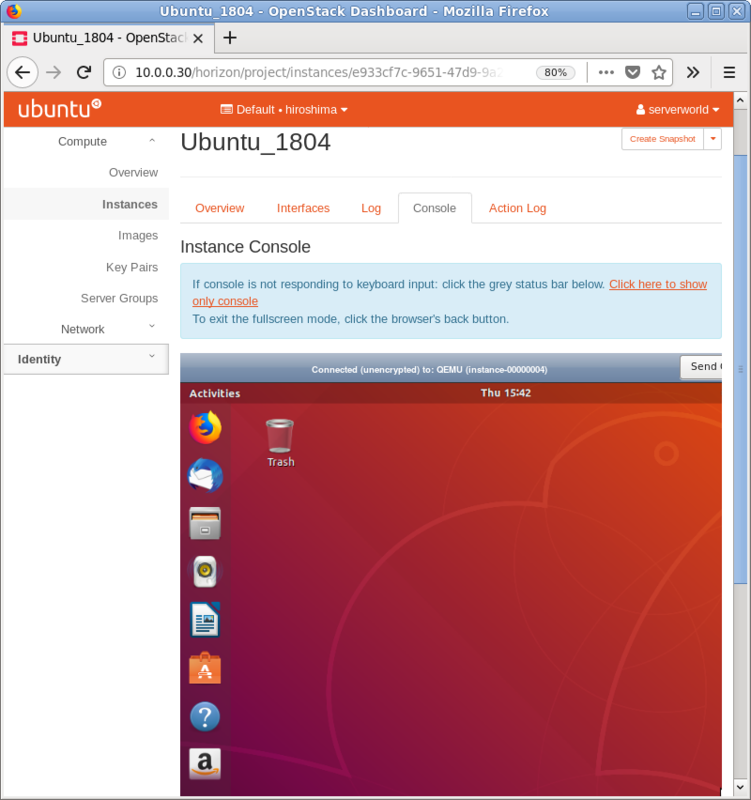 To access an instance, Click [Instances] on the left menu. Then, instances' list is shown on the right, next Click the name of instance you'd like to access. The description of instance is shown, next, Click [Console] tab. The console of instance is shown. You can operate instances on here.